On a budget? Check out these top 10 easy backyard ideas for entertaining! Who cares if you can't afford an ultra-expensive backyard remodel? These ideas can transform an average backyard into a space Martha Stewart would be proud of! 1. Use rope lighting to line your garden. Pick up some rope lighting at Home Depot or Lowes and install it around your garden for a sophisticated touch. It also helps people see at night so they don't trip over your brick lining or anything else. 2. Set up pool noodles in the yard for a game of kickball croquet. Need quick ideas on how to entertain the kids? Just get some pool noodles, bend them to make arches and secure them into the ground. 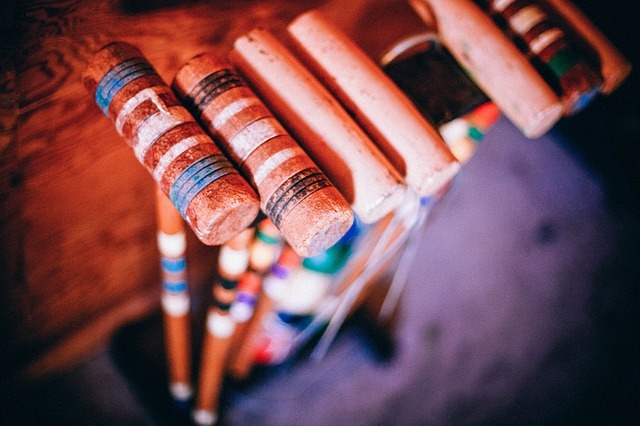 Pull out some rubber balls and have the kids play kickball croquet! TIP: If you've just installed fresh Tucson sod, you'll want to avoid causing damage to the lawn with the pool noodles. Hold off on this game until your lawn has had time to set and anchor fully to the ground. 3. Repurpose your tree stumps. Make an outdoor table by adding a tabletop to one of your tree stumps. You can also transform old trunks into plant pots. Just fill with soil, plant with flowers, and voila! You've recycled your tree stumps. 4. Grow a sunflower house for the kids to play in. Plant sunflower seeds in a circle so that when they grow up they make a sunflower house that can be used for playtime or quiet time. 5. Don't have a pool? Make a splash pad out of tarp and sprinklers. This is a super easy and affordable solution to those hot summer days without a pool. Just throw down a large tarp, get some of those rotating, removable sprinklers, and turn them on to make a fun splash pad that will keep the kids entertained for hours. Cut off the legs, attach some sturdy chains and hang from a tree to create a backyard swing! 7. Put diapers in the bottom of your potted plants. This trick helps the plants retain moisture and will keep them fresh longer. Just make sure you cover the diapers with burlap or some other material so that they are not visible from the outside. 8. Create a nighttime lawn bowling party by breaking glow sticks into bottles of water. You'll definitely want to avoid using carbonated beverages here, for obvious reasons. Use a rubber ball as the bowling ball and recruit one person to help fix the pins after every person takes their turn. 9. Spray paint metal folding chairs for backyard entertaining. Turn cheap metal chairs into worthy furniture by spray painting them your favorite color. If you're hosting a holiday party you can also spray paint them festive holiday colors. 10. Short on fertilizer? Use Epsom salts on your garden. This is a well-known secret among green-thumbs. You will want to use 2 tablespoons of salt per gallon for potted plants and then use it instead of watering at least once a month. You can also sprinkle the salt into the soil before planting seeds. TIP: Do not use Epson salts on your Tucson sod lawn. While this trick works well for smaller plants and shrubs, it should not be used on an entire sod yard. Leave the lawn maintenance and lawn installations up to the professionals. Got any questions on how to care for your lawn? Contact one of our Tucson sod specialists today at (480) 456-1199 or visit /.